The bottom line on the Paceman is 600 pounds. That’s how much more weight this enlarged capsule carries compared to the base model Cooper S (3,110 lbs. vs. 2,535 lbs.). Think of it as a maxi MINI. Imagine stuffing your base Cooper S with three 200 pound passengers. That kind of load numbs the quick response MINI has claimed as its birthright since 2003. The Paceman isn’t a slug by any means, but thanks to the laws of physics, its performance can’t compare to the immediacy of the original Cooper S. Now you might assume that because the Paceman is substantially larger than the Cooper S, it gains in practicality what it loses in zip. And the 4 door Paceman does gain an edge in that regard, since it’s 16 inches longer, 5 inches lengthier in wheelbase, and doubles the cargo space of the base MINI from 6 to 12 cubic feet. But our test Paceman, in 2 door coupe configuration, fails to maximize these gains because the rear seat is virtually inaccessible. The best option for owners of the Paceman coupe is to fold both rear seats flat and use all 12 cubic feet of interior space as a pickup bed. For example, this configuration would be ideal for transporting multiple canines in comfort. 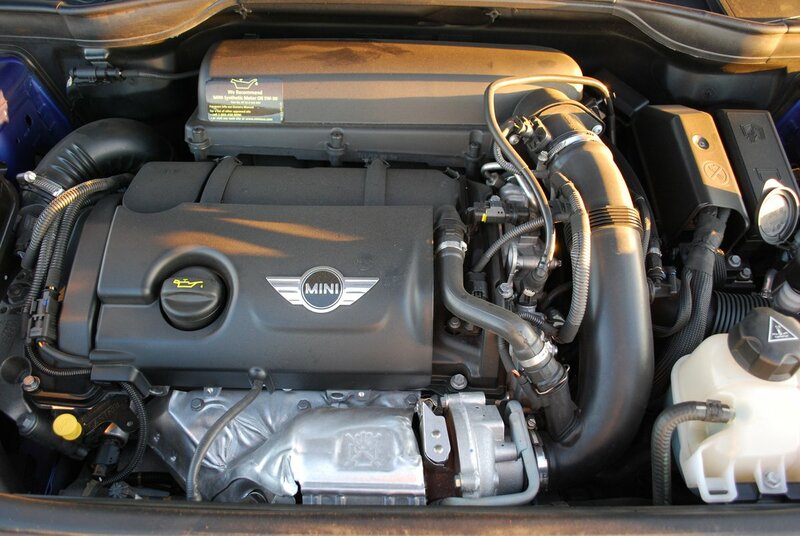 Paceman shares the same turbocharged, direct fuel injected engine as the Cooper S. This potent inline 4 makes 181hp and 192 lb.-ft. of torque. A John Cooper “Works” edition is optionally available, with 208hp and 207 pounds of torque. 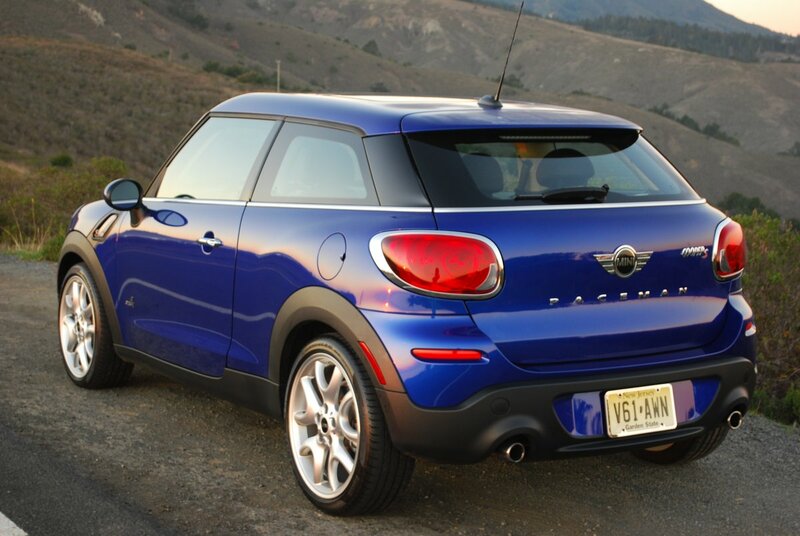 Our test Paceman, configured with the base motor, returned 26 MPG in combined city and freeway driving. That’s excellent, considering that this test car also included all-wheel-drive, a $1,700 option that tends to decrease mileage. MINI-speak deems AWD “All4,” and emblazons that information on both front quarter panels. 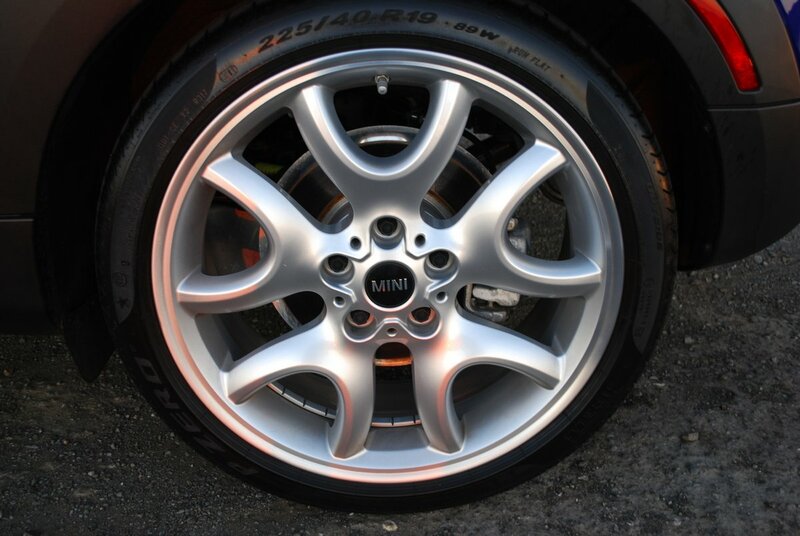 In addition to driving all 4 wheels, our Paceman benefited from a quartet of expensive optional 19 inch alloys (“Y Spoke Silver”) that added premium Pirelli P Zero tires (225/40R19) to the handling mix. At the expense of some comfort, these Pirellis, coupled to the 2013 Paceman’s standard sports suspension, made for an endearingly precise but bumpy ride. 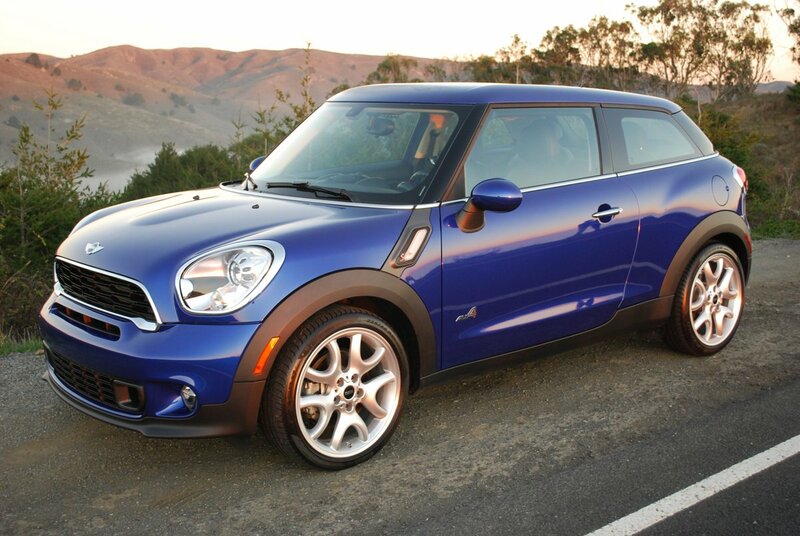 Note that for 2014, MINI has softened the standard issue springing and shocks, and made sports suspension a no-cost option. The front seats were less gripping than a Hitchcock mystery. They’re flat and hard with little lateral restraint on offer. They were, however, heated, as part of a $750 optional Cold Weather Package that also provides power folding heated mirrors, and heated washer jets for the wipers. 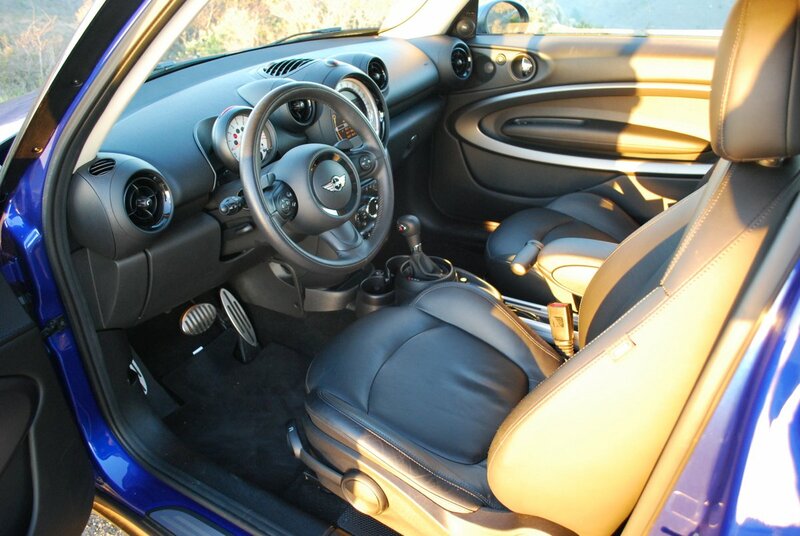 The configuration of the Paceman’s interior has been a MINI staple since the model line was launched more than a decade ago, and it’s getting long in the tooth. In particular, the huge analog speedometer occupying the center of the dash looks a bit overdone these days, since the same information is concisely conferred digitally with a readout in the tachometer located right under your nose. The “Comfort Access keyless entry” ($500 extra) is nice because the doors unlock automatically as you approach the Paceman. But once inside, you need to insert the lozenge sized fob right side up into its dash shot (which is hidden from view) before you can press the Start Button adjacent to the fob. The whole operation is too demanding of time and attention and makes you yearn for an old fashioned twist key. Although the Paceman All4 may feel lethargic and tubby compared to a base Cooper S, you need to think of this package in different terms. You need to compare it to the bevy of more conventional compact SUVs available across the mid-price range. These invariably stand taller than the Paceman, and are thus much less fun to drive (and own), since a higher center of gravity impedes handling. These competitors also lack the immediate punch of the MINI’s turbo 4, as well as the sizeable footprint of its Pirelli boots. When you look at this highly specialized model line variant from that perspective, you’ll realize Paceman leaves your elixir goblet half full rather than half empty.